Bitcoin dips lower as the new week commences. After the historic slump of all the currencies in the beginning of the month, attempts were being made by the market to restore Bitcoin to the value it had held the previous year. There was again a drop in the value as the plea for ETF based on Bitcoin by Winklevoss brothers was rejected. However, Bitcoin had managed to emerge from that as well. However, with the commencement of this week, Bitcoin slipped back to the 8000$ mark, disregarding the recovery it had made through the week. This has come as a shock to several people in the field. 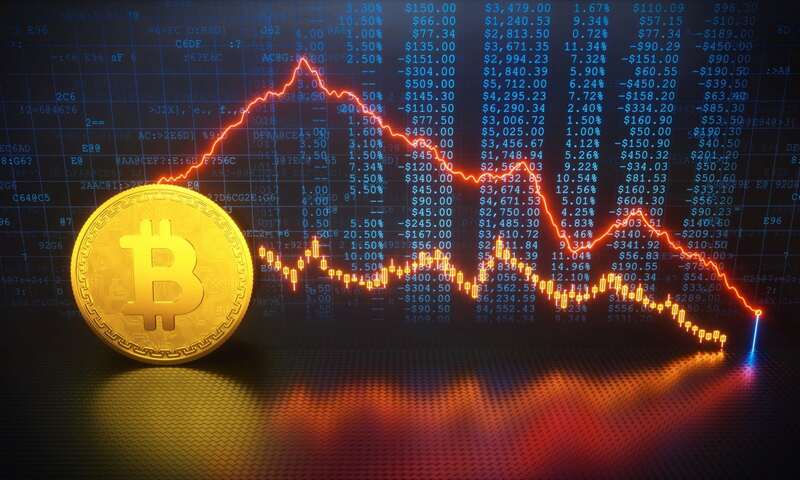 The market opened with Bitcoin at the two thousand one hundred mark and it remained at that position for a while before it slipped down to eight thousand. To the dismay of several people in the market, it ended at a mild seven thousand 81,000-61,000$. This fall in the value of Bitcoin has astounded several people in the market because it has come at a time when it has become hard to figure out what exactly is ailing the market right now and why are the prices falling back. This sort of a phenomenon has given a hint to the traders to be careful as they speculate about the short term investment in the market. Wallets at risk: how to cope with the well-equipped and intelligent hackers? The MAJOR crypto leap in Thailand: pun intended! Will the First Bitcoin ETF Make Crypto Market More Volatile?